Here’s my latest look at new music from artists whose popularity isn’t commensurate with their talent. 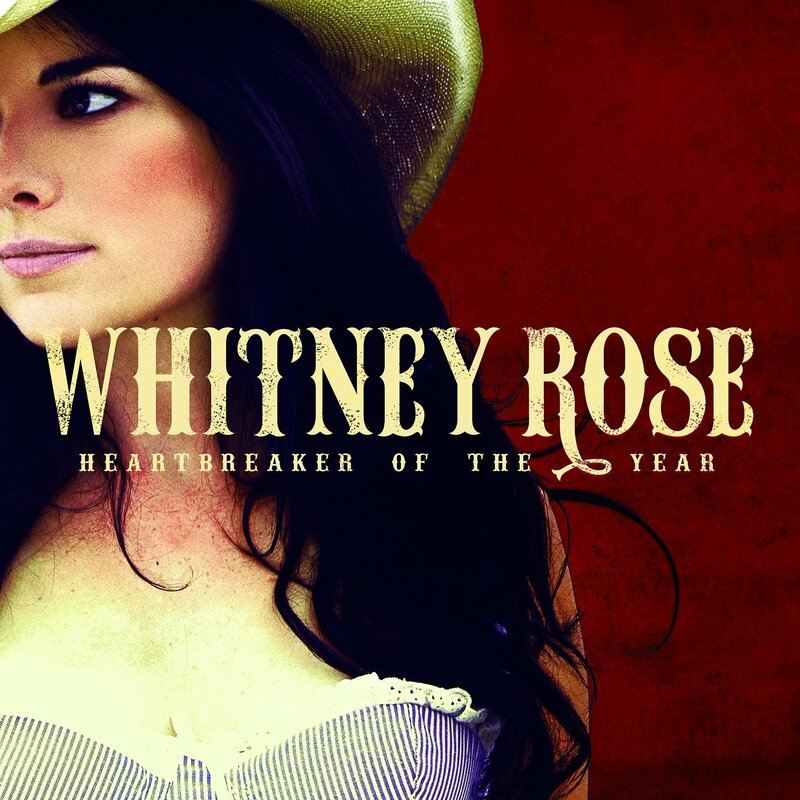 Heartbreaker of the Year, Whitney Rose. Rose calls her style “vintage-pop-infused neo-traditional country,” and that’s pretty close to the mark. You won’t be surprised to learn that this sultry-voiced Canadian singer grew up listening to the likes of Hank Williams and Patsy Cline—or that this second album features backup by the Mavericks, who share her penchant for combining country with a strong pop sensibility. Catchy original numbers dominate the beautifully sung program but the standout track is a cover of the Ronettes’ classic “Be My Baby,” a passionate duet with Mavericks’ singer Raul Malo, who produced the CD. Love Love, Love Love. This eponymous album ranks among the most auspicious debuts I’ve heard so far this year. Powered by the indelible melodies and vocal harmonies of Christine Topping and Jefferson Davis Riordan, Love Love display a mature vision and a talent for writing clever, complex and well-hooked songs that hearken back to sixties rock. (The Beatles appear to be among their influences.) As for contemporary reference points, the collaborations by Susanna Hoffs and Matthew Sweet come to mind. Love Love, which makes excellent use of a horn section, manages a lush, complex sound yet delivers what seems like a live-in-the-studio production. Not every track succeeds fully, but “Dreaming,” “Big Backyard Moon,” “Sunday Morning” and “Bright Morning Stars” are among the many numbers that have wound up in heavy rotation around my house. The album won’t officially be released until October 16. Mark your calendar. The Best of the Stony Plain Years, Jeff Healey. Besides being an ace guitarist, the late Jeff Healey was quite a fan of 20s and 30s jazz, swing and blues—he owned about 30,000 78s—and his love of that era’s music permeates this collection. The program—which prominently features clarinet, cornet, violin and horns—embraces standards like “Three Little Words” and “Stardust.” The Stony Plain label culled 11 of the 12 tracks from Healey’s four CDs for the label; the lone exception is the album-closing “Sweet Georgia Brown,” a lively, previously unvailable duet with British trombonist Chris Barber. Too Big World, Bumper Jacksons. Originals join traditional numbers on this joyous, diverse and beautifully performed 16-track collection, which—like the aforementioned Healey package—melds 1930s jazz, swing and blues. The six-member Bumper Jacksons boast strong male and female lead vocalists and make good use of washboard, clarinet, trombone, banjo and pedal steel. If you like groups such as Dan Hicks and His Hot Licks, Asleep at the Wheel and Squirrel Nut Zippers, you’d be wise to check out Bumper Jacksons.